Last day in our temporary building at work, brand new office on Tuesday! These are different shoes because I couldn't move things around at my desk, but when I came home I put on the shoes that I liked more with the outfit. Its been an exhausting week, so now I'm off to have dinner and beers with Rich. Happy Friday! I love how you layered the knitwear and those boots are amazing! I love the layering in the outfit! Ooh i really like all of the different hemlines you have going on. It's really funky yet sophisticated at the same time. I hope you enjoy your new office! look at those awesome shoes you be rockin'! haha they really do look extremely cute. you have layered those pieces so well! This outfit is great... the more I look the more I see to like. Starting with that blouse, which I've been eyeing up at AA (and waiting for New York for), and then the cropped sweater and the awesome shoes. A winner! I love the sweater and how it allows the blouse to peek through. 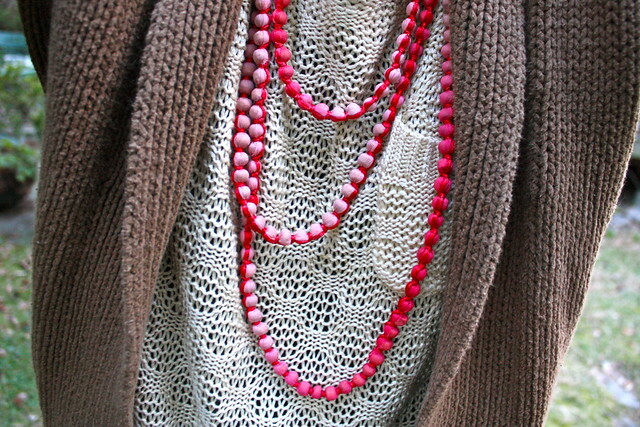 The coral necklace really makes everything pop. Lovely layering! Ohh you look amazing once again! 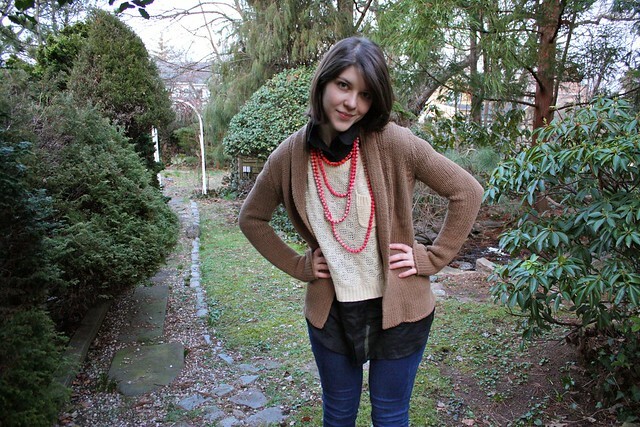 I love all the layering and the AA blouse. I want to get it in black and cream but it's too darn expensive. Your shoes, LOVE your shoes! those shoes def need to be with that outfit! and i love those beads. very pretty! 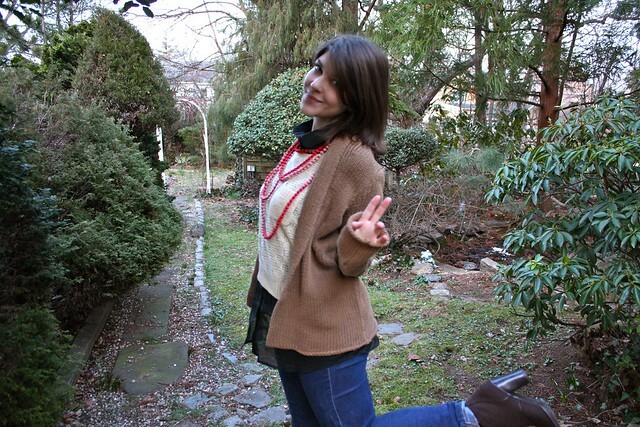 i looove the layering, the knits are cute!! 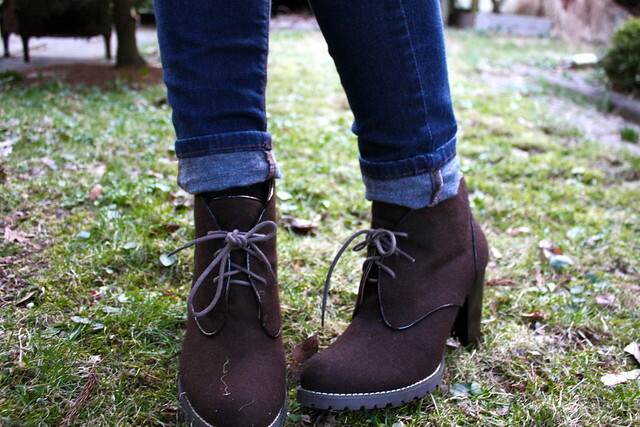 love the mix of sweater textures, and your boots! Hope you had a nice relaxing weekend! Yeah for permanent offices...temporary locations are the pits :) Love your red necklace...swoon worthy! cute outfit! love the shoes! thanks for the comment! you're so cute (+) I love your blog! you have such a cute style. Really nice layering, I think you deserve a gold star!